Have you been wandering around for way too long trying to find the wonder in your wilderness season? Things might look bleak and barren, but the wilderness isn’t such a bad place to be. If we squint our eyes just a little, we’ll find Jesus working wonders in the wilderness. He often whisked away to the wilderness to pray. I think He knew he’d find his Father there because God’s been showing up in the wilderness for some time now. He met both Moses and David in the wilderness. I believe He’ll meet us there too. And, I’ve found, if there’s at least coffee in my wilderness, I am able to make it through. We all need a little pick me up now and then. But, coffee or not, rest assured, there will be wonder in the wilderness. There’s wonder in our wanderings. God meets us in the wilderness in the most surprising ways. Like I said, we might have to squint a little. But, I’m certain, if we look closely we’ll catch a glimpse. He always meets us there; most likely though, we’ll have to refocus. We simply need to look up from our circumstances and out with our spiritual eyes. Don’t shuffle along, eyes to the ground, absorbed with the things right in front of you. Look up, and be alert to what is going on around Christ—that’s where the action is. See things from his perspective. Changing our perspective requires a paradigm shift in where our true reality lies. Remembering just how much our Heavenly Father loves us changes our perception; we become Kingdom-minded instead of worldly-blinded. …fill your thoughts with heavenly realities, and not with the distractions of the natural realm… So you must consider your life in this natural realm as already dead and buried…You are always and dearly loved by God! The Israelites old way of life was long-since dead and buried, yet, they kept looking back in hopeful expectation. The problem was that when they turned their heads, they stumbled. When they took their eyes off the Lord, they fell. Also, when they looked in their bowls, they complained. Finally, when thirsty, they ranted in rebellion. Sounds all too familiar to me. In my wilderness times, all I wanted was to GET OUT! I cried and wailed and threw a fit or two. Rather than shaking the dust from my feet, I wallowed in the quicksand of my circumstances. And, when chased by the Enemy, I forgot my God always provides an escape route. I looked at my glass as half-empty and embarrassingly, I called what was in my bowl rations instead of provision. God worked wonders in the midst of His people. However, they couldn’t see it because their eyes were caked with the mud of ‘not enough’ and they couldn’t begin to understand the Lord’s provision. Without a thankful heart, they couldn’t see they had more than enough. At least not until He rinsed their eyes off, giving them the new perspective of plenty. What they didn’t know is the wilderness was a detour, not their destination. It was more about hosting and habitation with the Lord than pitching a tent or having a home. It was a perimeter of process, not their promised place. Yet, they couldn’t take their eyes off of their circumstances long enough to relish the wonders in the wilderness. The wilderness was where God met their deepest needs, not intangible possessions, but in the wonder of His very Presence among them. He went before them and behind, He walked among them by their side; a pillar of smoky cloud by day and a fire by night, all the way, God was with them. Who is this God who leads me and who does He want to be for me in this wilderness season? We must not trouble ourselves with unanswerable questions, but confidently look beyond our circumstances and see from God’s perspective. When we partner with Him, rather than fighting against Him, breakthrough happens. We will begin to understand the process and provision that ultimately pushes us right into our place of purpose and promise. We will be loved, blessed, and find ourselves walking in the good land He’s given to us. All He asks of us is to humbly depend on Him as our Provider with an obedient, willing, and thankful heart. If we keep our focus on the Kingdom, we’ll have eyes to see the wonders He performs in our wilderness. Others will be able to say this about our God. There’s instruction in the wilderness, preparation, and provision too; it’s important to remember it’s a process. Looking at the wilderness experiences in Scripture teaches us what’s really going on. Hindsight and revelation tell us the wilderness is a place of process, preparing our hearts for our promised land. I hope this gives you a new perspective about finding the wonder in your wilderness season. Becoming victorious over our enemy and staking our claim in the Kingdom is hard work, but with God, all things are possible. With a thankful heart and a loud shout of praise, I pray you’ve been inspired to press through to your promised land, the good land He has set aside for you. He goes before you as a shield, behind you as a rearguard, and walks beside you on the battlefields of Life and in the wilderness too! Even in our doubting, His Presence is the wonder in the wilderness…look for Him, He’s there. Prayer: Abba Father, keep our eyes focused on You. Forgive us of our unbelief. Additionally, help us try not to figure it all out on our own, but to look to You as Provider and Protector. May we trust and obey while You lead us into our Promised Land, saying, “Who is like you, O Lord ~ glorious in holiness, awesome in splendor, performing great wonders?” We love you, Lord. Also, we welcome the wilderness knowing You’ll meet us there. Surprise us, oh Lord, with Your Presence as we journey on our way Home. If you are having a hard time hearing God’s voice, try reading this post about the Surprising Love Language of God. If you want to experience new levels of victorious living, this can be your year of victory. With God, all things are possible and by becoming a Victory Girl in 2018, you can stake your claim in the Kingdom and start walking in your God-given destiny this year! Becoming a Victory Girl: Staking Your Claim in The Kingdom is available on Amazon and Kindle. © Amy Elaine Martinez and AmyElaine.com, 2018. Unauthorized use and/or duplication of this material without express and written permission from this blog’s author and/or owner are strictly prohibited. Excerpts and links may be used, provided that full and clear credit is given to Amy Elaine Martinez and AmyElaine.com with appropriate and specific direction to the original content. Amy Elaine Martinez writes a faith-based, Christ-centered blog with devotional content inspiring people to walk in wholeness and live in victory. Amy Elaine is the author of ‘Becoming a Victory Girl’ book available on Amazon and Kindle. 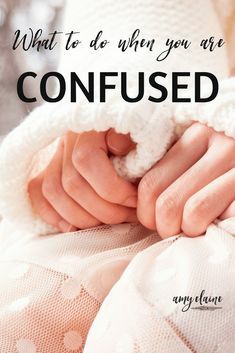 Her blog offers Bible-based teaching on a variety of topics. A story-teller at heart, Amy Elaine loves to share her own story of becoming a Broken Girl Made Whole. You’ll find a daily dose of encouragement and inspiration for living the victorious life. 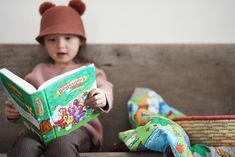 Subscribe to the blog at AmyElaine.com so you don’t miss a thing! 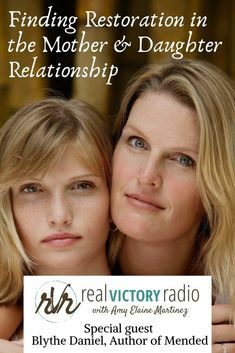 You can also connect with her on Real Victory Radio; there's an app for that- see 94.7 FM The Word. Why not subscribe and join the Victory Girl Movement? Thank you! You have successfully subscribed to our ministry and will be taken to the victory statements. We have a whole page of powerful quotes and verses to encourage you to victory, and we'd love for you to have a copy! These are our Victory Girl Reminders - created just for you. Grab yours now! Yes! I'd like to Subscribe!